Could Parkinson's Disease Be Leading to Your Senior's Weight Loss? Could Parkinson’s Disease Be Leading to Your Senior’s Weight Loss? 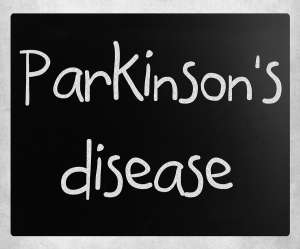 Homecare Germantown TN – Could Parkinson’s Disease Be Leading to Your Senior’s Weight Loss? Weight loss is often expected among those who are experiencing serious illnesses, but this does not mean you should just expect and “deal with” it. As a family caregiver for an elderly adult with Parkinson’s disease, you should know that weight loss is a common effect of the disease, and that it can have a serious negative impact on your parent’s health and ability to manage the other effects of the disease. There are many reasons why your aging parent might lose weight while they are progressing through the stages of the disease. Working to identify these reasons and resolve them can help your parent to maintain a better weight, and stay healthier as they age. * Loss of sense of smell and taste, making it less enjoyable to eat. Over time this can cause your parent to not have an appetite and eat very little. * Loss of motor functioning that allows your senior to eat effectively. * Taking certain medications in the treatment of PD can lead to nausea, which suppresses appetite and makes your parent eat less. * Swallowing problems are common with PD, and these can make it harder for your parent to eat healthy foods safely. Those with these difficulties are likely to resort to eating a set of foods they find comfortable and easy to eat, which can diminish the nutrition they get. * Depression can cause your parent to experience a suppressed appetite. * Those who are dealing with slowed movements or difficulty with the physical act of eating may be embarrassed by it, and not eat enough when they are with others. There are many factors that can lead to an elderly adult losing weight and not getting the nutrition they need. For some, physical and emotional challenges that keep them from cooking for themselves can be a major influence. Homecare can be a fantastic way to help your parent overcome this. A homecare services provider can help your parent get the nutrition they need through assistance with grocery shopping, help with meal and snack preparation, companionship during meal times, and even assistance with the task of eating. These homecare services can help ensure your parent gets the nutrition their body needs to thrive, while also addressing emotional challenges they may be facing. As their family caregiver, this can give you greater peace of mind that your senior can stay healthier and safer, and enjoy a higher quality of life even as they cope with health issues such as Parkinson’s. This entry was posted in Challenging Diseases/illnesses/Conditions, Homecare Germantown TN and tagged Homecare Germantown TN. Bookmark the permalink.